Add a gorgeous summery sheen to your cheeks with glominerals newest summer bronzing must-have, gloCheek sheen in peachy. This shimmery stick is a little tube of magic for getting that just-kissed-by-the-sun sheen that works so perfectly for summer! We really like the versatility this little guy - use it on cheeks of course, then add a tab to the eyelids or a kiss of shimmer to shoulders and décolleté . It's so simple to use to the go too, perfect for easy summer makeup - just toss in your handbag or beach tote! 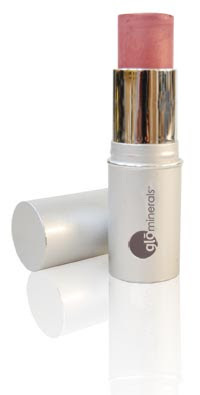 glominerals has some application tips that can be found here. Let us know how you're using it!